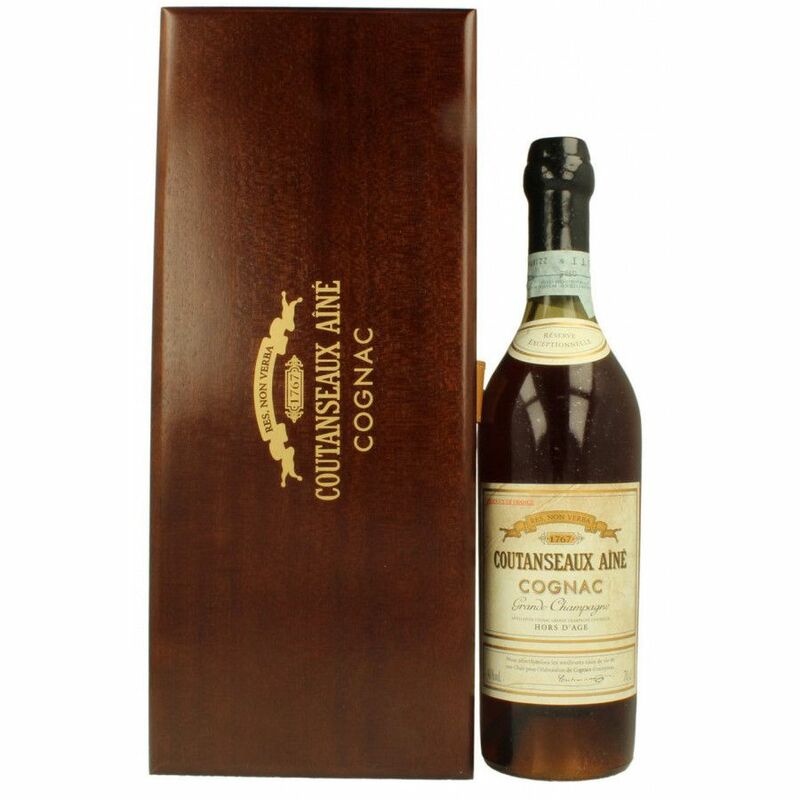 The Coutanseaux Ainé Hors d'Age Grande Champagne Cognac is truly one of a kind. The house only produce individual Cognacs to order, with the youngest element in the blend being a minimum of 40 years old. Many of the other eaux-de-vies used are far older - this Cognac is a true journey back through history. As you'd expect from such a Cognac, this is a trip for all the senses. First you see the dancing of colors as you pour this precious nectar into the glass. Autumn shades abound, and singed amber leaves spiral across the surface. Then come the delights on the nose: generous and warm, spicy aromas are complemented by sweet prunes, cooked oranges, and acacia honey. A hint of eucalyptus entices you to take the first sip. On the palate there's a plethora of tastes - from the sweetness of summer fruits to the power of woody oaks and autumn berries. Other flavors such as violets and cigar box come to the fore, and the length of finish is truly exquisite. Every bottle produced is unique, hand blown, and can be personalized with the name of the purchaser. This is truly a bottle for the connoisseur. Received it as a gift from a friend in the business. Smooth as silk at first, aftertaste is a bit rough, scent of sweet butterscotch. Overall an Excellent cognac. The price is high, but fair. Luckily, I didn't have to pay.